Umm al-Quwain (Arabic: ?) is the least populous of the seven sovereign emirates in the United Arab Emirates, located in the north of the country. The emirate is ruled by Saud bin Rashid Al Mualla. 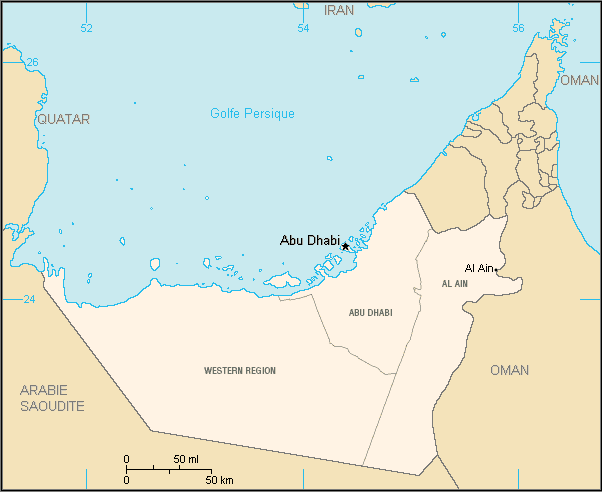 The emirate had 62,000 inhabitants in 2003 and has an area of 750 square kilometers. Umm al-Quwain holds significant archaeological interest, with major finds at both Tell Abraq and Al Dour. Arrowheads and other polished flint tools have been unearthed in various sites across the UAE while pieces of Ubaid pottery have been unearthed along the shores of the emirate. All evidence obtained so far indicate that contact with Mesopotamia existed as early as the 5th millennium BC as an indigenous ceramic industry did not emerge until the 3rd century BC. During the Bronze Age (3000–1300 BC), semi-nomadic tribes inhabited the region; they shifted in groups from place to place foraging for timber from the indigenous acacia for smelting copper. The metal was sent to all the prominent ports on the Persian Gulf, Umm Al Nar being one of them. Ties with Mesopotamia were jealously maintained and consequently the trade in copper ushered in prosperity in the region. During the Bronze Age, agriculture flourished, with dates being the prominent crop. Wheat, millet and other grains were also cultivated wherever there was enough water for irrigation. It is now widely believed that the climate during the period was more temperate than now. During the Umm al-Nar period (2500–2000 BC), buildings and fortress towers came up in Umm Al Quwain. The most common buildings associated with this era are the circular burial tombs. The modern history of Umm Al Quwain began some 200 years ago when the Al Ali tribe moved their capital from Al-Sinniyah Island to its present location in the mid-18th century due to declining water resources. In 1775, Sheikh Majid Al Mualla, founder of the ruling Al Mu’alla lineage of the Al Ali tribe, established an independent Sheikhdom in Umm al-Quwain. On 8 January 1820, Sheikh Abdullah I signed the General Maritime Treaty with the United Kingdom, thus accepting a British protectorate in order to keep the Ottoman Turks out. Like Ajman, Dubai, Ras al-Khaimah and Sharjah, its position on the route to India made it important enough to be recognized as a salute state with a three gun salute. By 1903, Lorimers famous survey of the Trucial Coast had Umm Al Qawain as a town of some 5,000 inhabitants and identified it as the major boat-building centre of the coast, producing some 20 boats a year compared to 10 in Dubai and 5 in Sharjah. 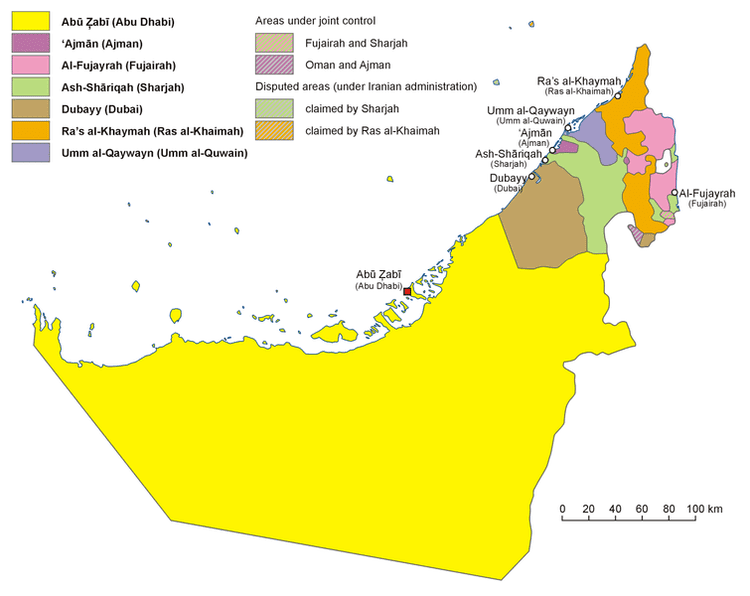 On 2 December 1971, Sheikh Ahmad II joined its neighbors Abu Dhabi, Dubai, Sharjah, Ajman and Fujairah in forming the United Arab Emirates, with Ras Al Khaimah joining later in early 1972. Umm Al Quwain Fort: A fort which was once home to the emirate’s ruler and guarded the entrance to the old town, overseeing the sea on one side and the creek on the other. It eventually became a police station then a museum. The museum now houses artifacts found at important nearby sites including Al-Dour and houses a collection of weapons that were used through the emirates history. It is located near a Masjid (Mosque) in Umm Al Quwain Bazaar. Old Harbor: An old harbor located in the old town overlooking the traditional dhow building yard where skilled craftsmen continue to assemble these traditional boats. The harbor is surrounded by old coral stone houses that display features of the original architecture and intricate sculptured plaster work. Islands of Umm Al Quwain: Islands that lie to the east of the mainland peninsula on a unique stretch of coastline consisting of sandy islands surrounded by dense mangrove forests, separated by a series of creeks. The largest of the seven islands is Al Sinniyah, followed by Jazirat Al Ghallah and Al Keabe, all of which are visible from the old town. Tucked in between these and the coastal plains are the smaller islands of Al Sow, Al Qaram, Al Humaidi, Al Chewria and Al Harmala. The Madaar creek that runs between the islands provides a navigable waterway for fisherman even at low tide when the average depth is less than a few feet. Al-Dour: Located roughly where the town of Umm Al Quwain is now, it is considered the largest pre-Islamic site on the Persian Gulf coast. Al-Dour was an important trading port from about 200 BC to 200 AD. Thousands of graves are found among the houses of Al-Dour. In some cases the larger tombs contained the remains of more than one individual, perhaps a family. There are two public monuments at Al-Dour, a small square fort with round corner towers and a small square temple dedicated to the Semitic sun god Shamash. 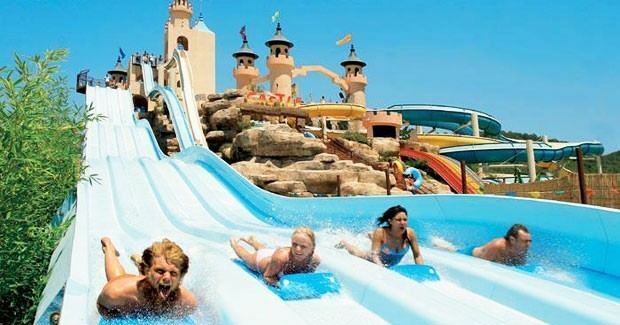 Dreamland Aqua Park: the largest water park in the UAE is located on the coastline of Umm Al Quwain; about 40 minutes drive from Dubai, with 250,000 square meters expanse of landscaped gardens and over 30 rides, slides, and attractions. The Park is operated all year round with a daily capacity of ten thousand visitors.